This is the Cadillac of Vocal Mics in our studio. It's not cheap, but the sound that this Mic captures is incredible! 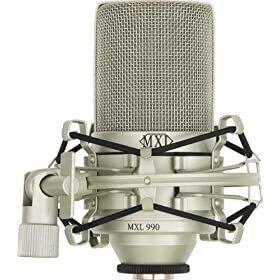 For Vocals, I can't think of a better Mic at any price. Although I haven't used this mic myself, I've heard good reports about it, and the price is extremely reasonable! Don't expect sound quality on par with the Beta 87, but at 1/4 the price of the Shure Mic, it's a steal... Get two!